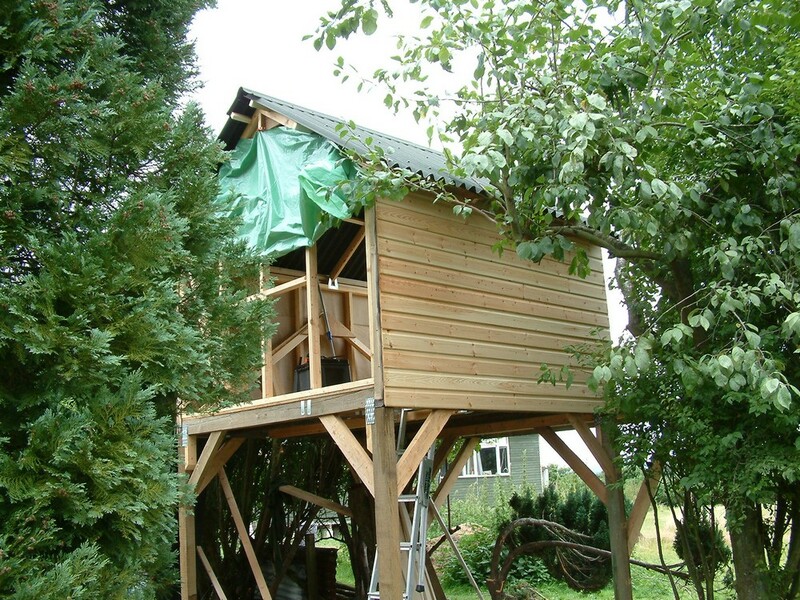 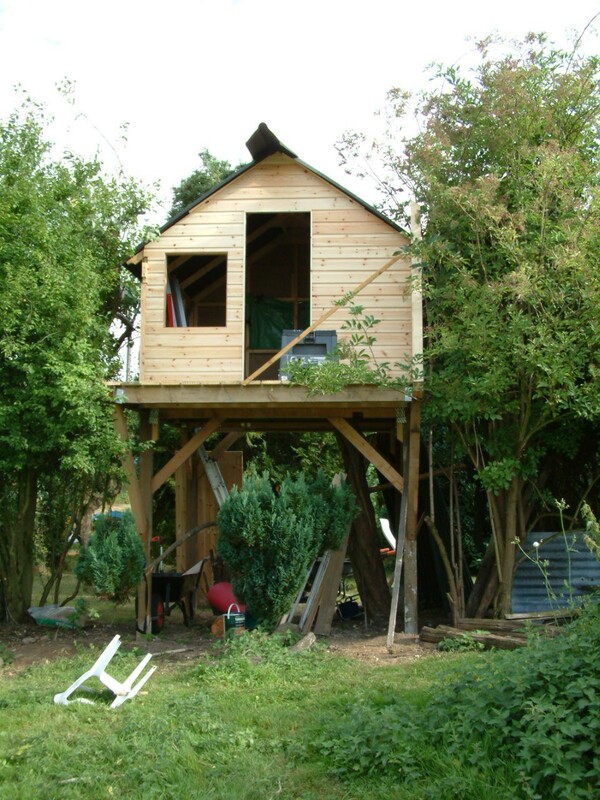 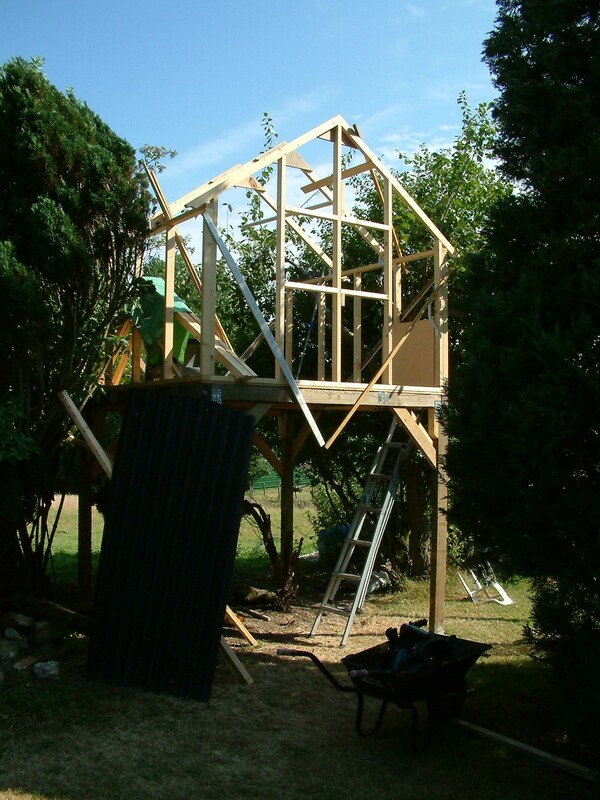 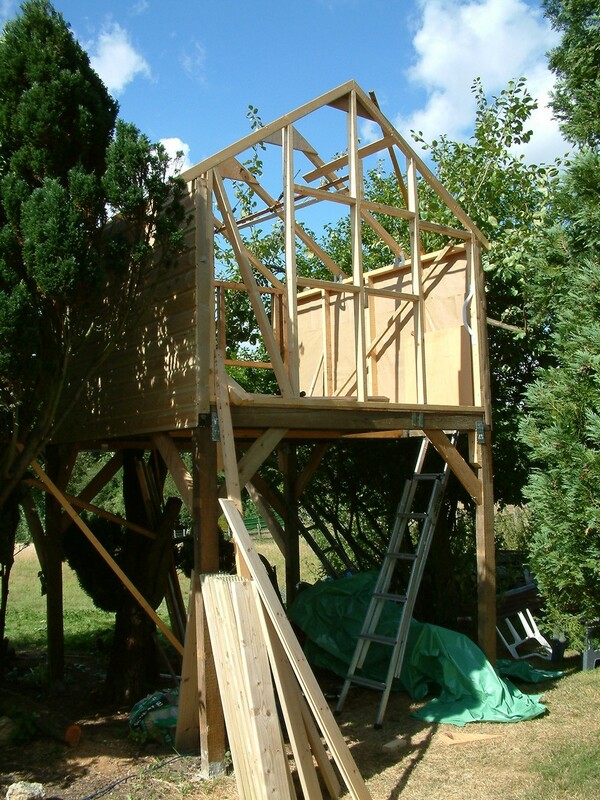 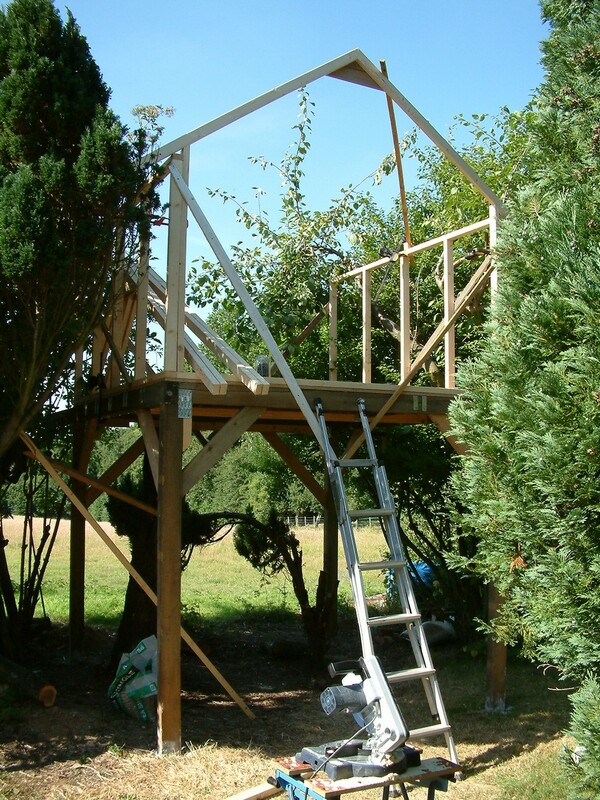 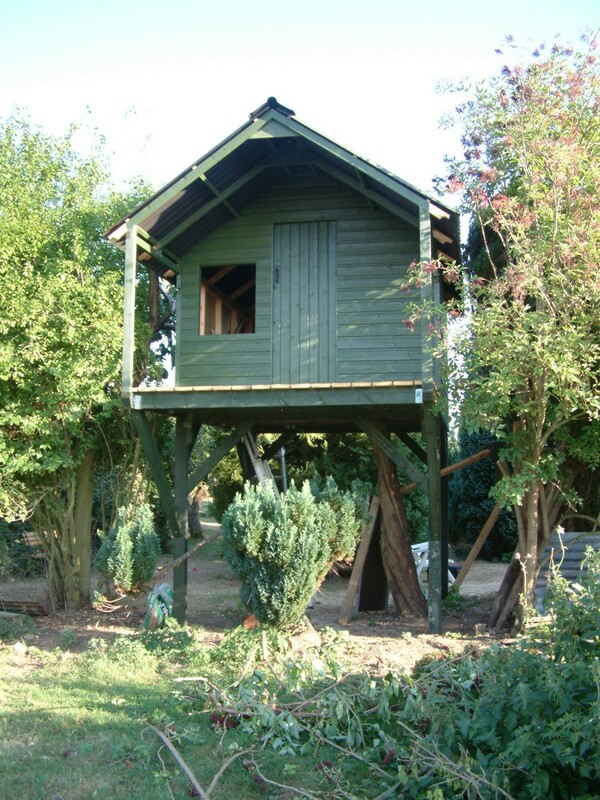 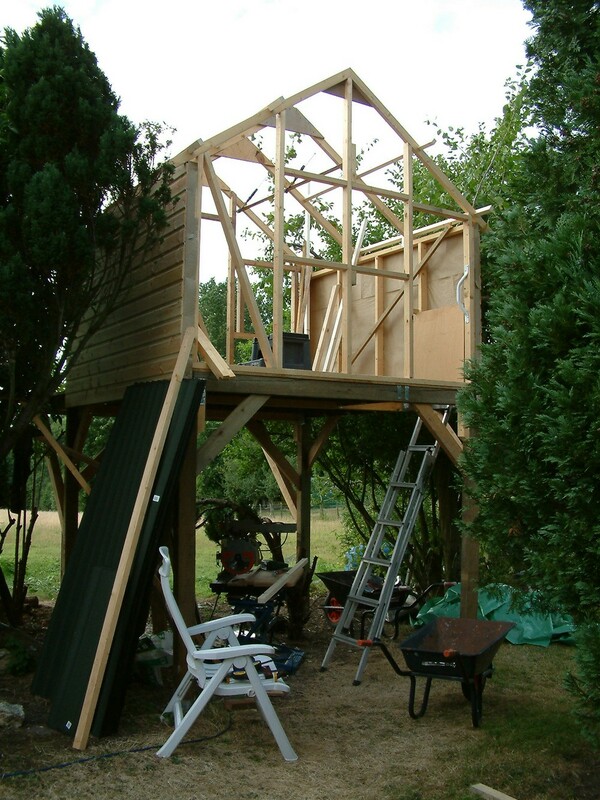 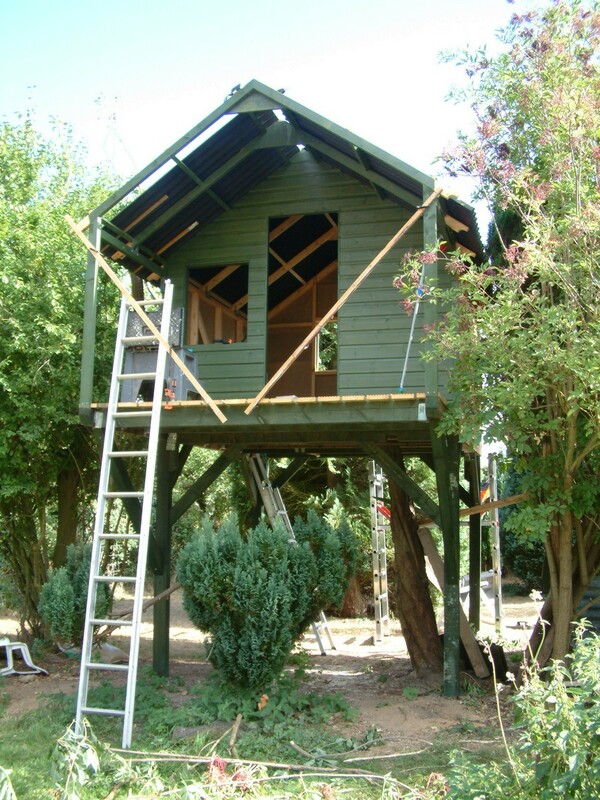 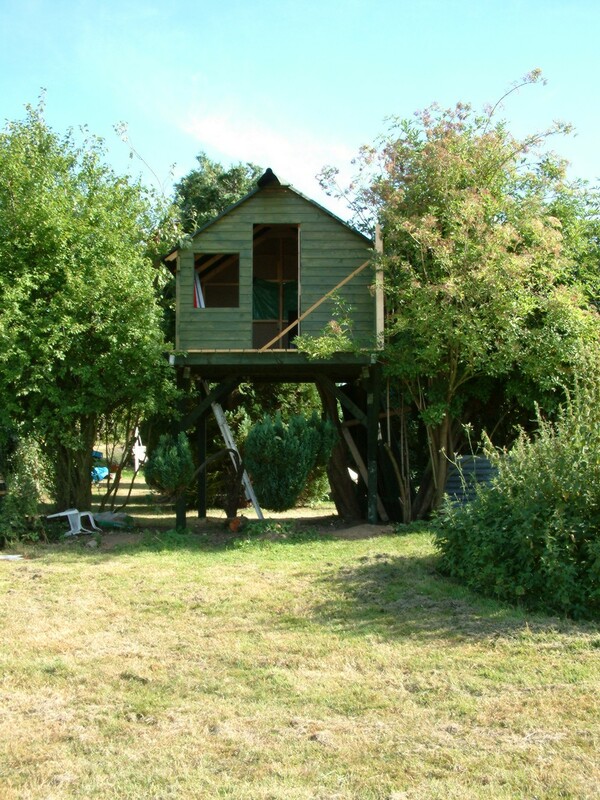 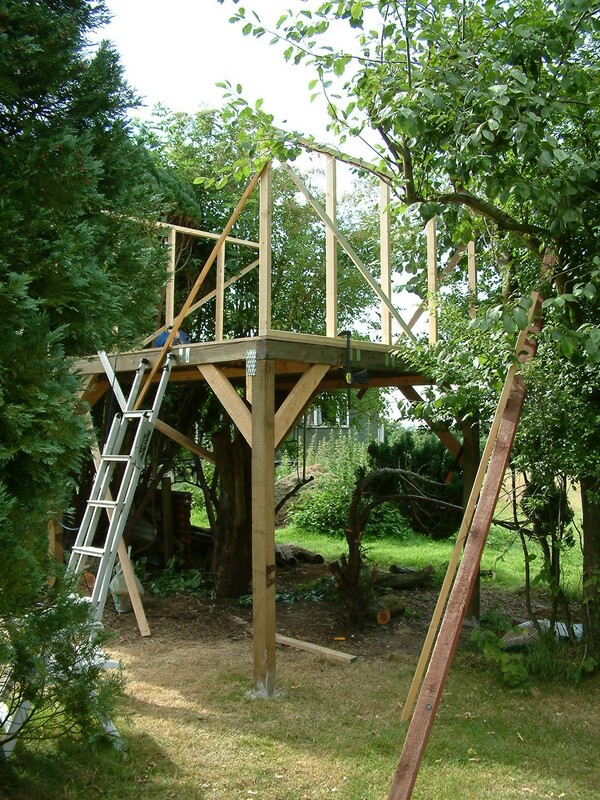 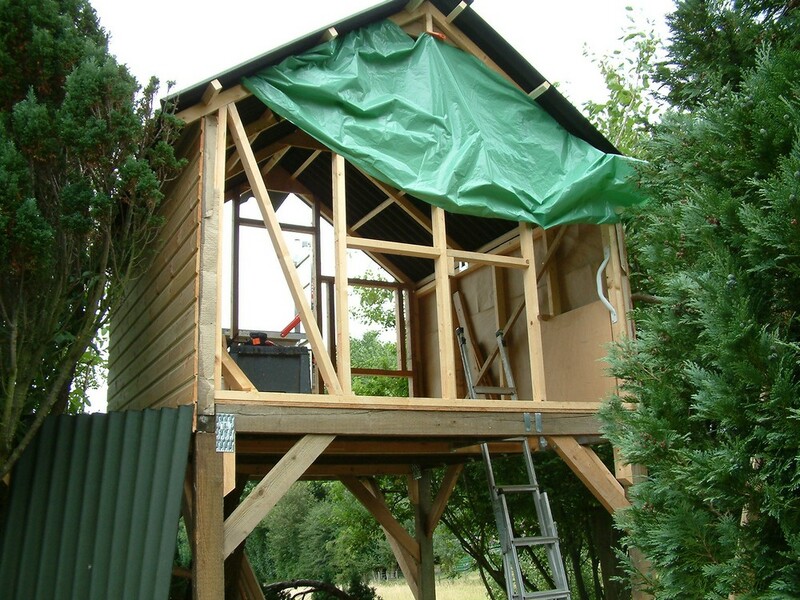 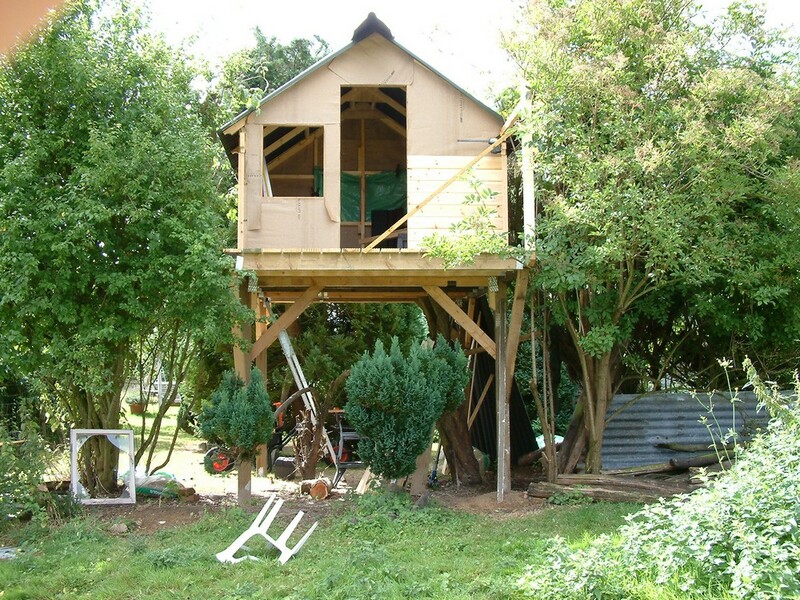 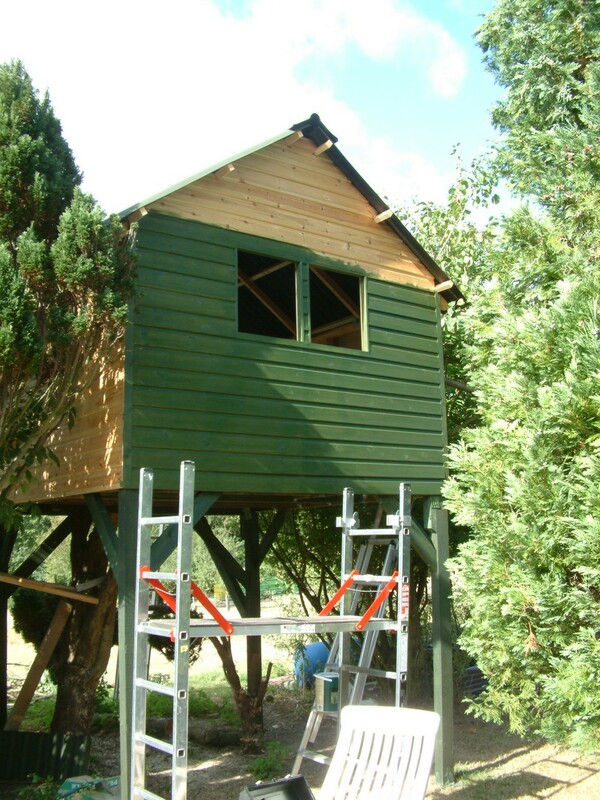 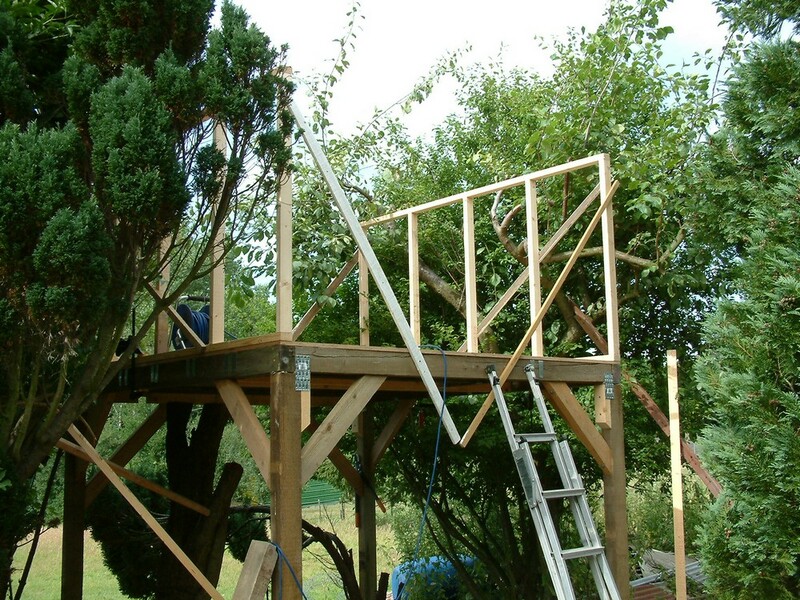 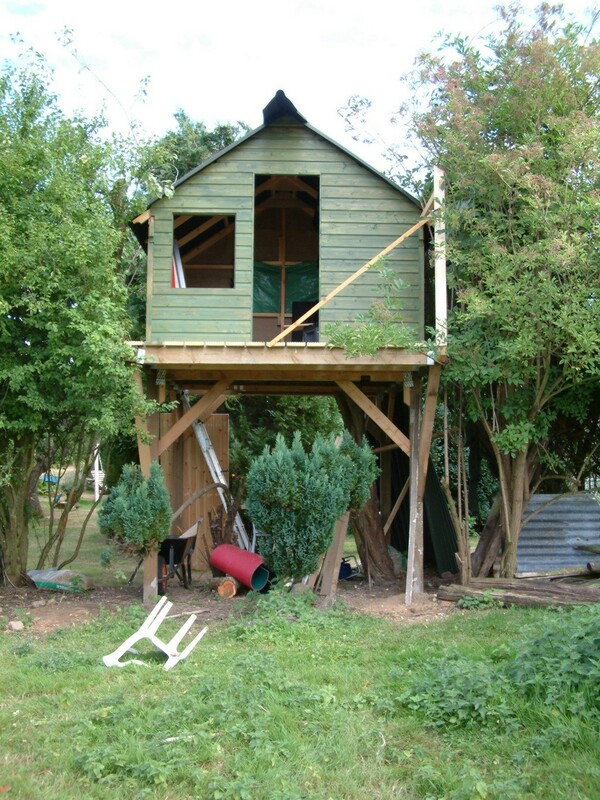 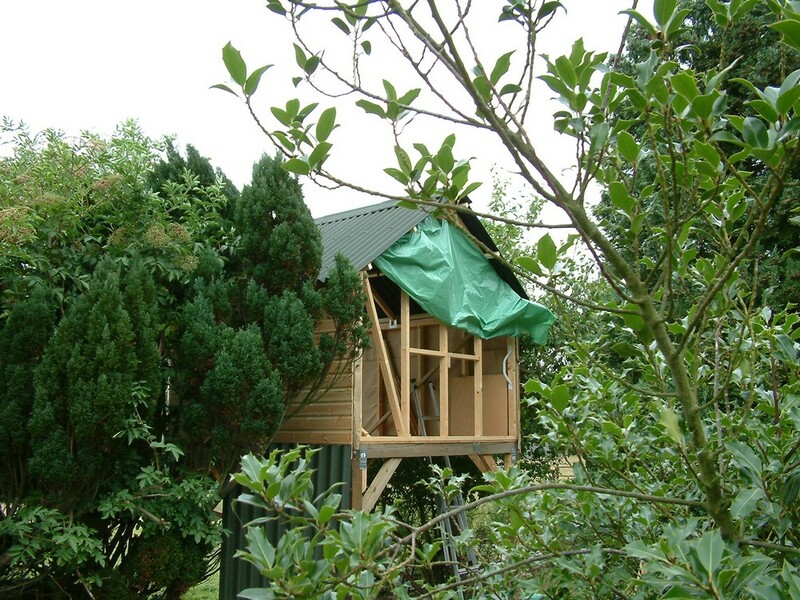 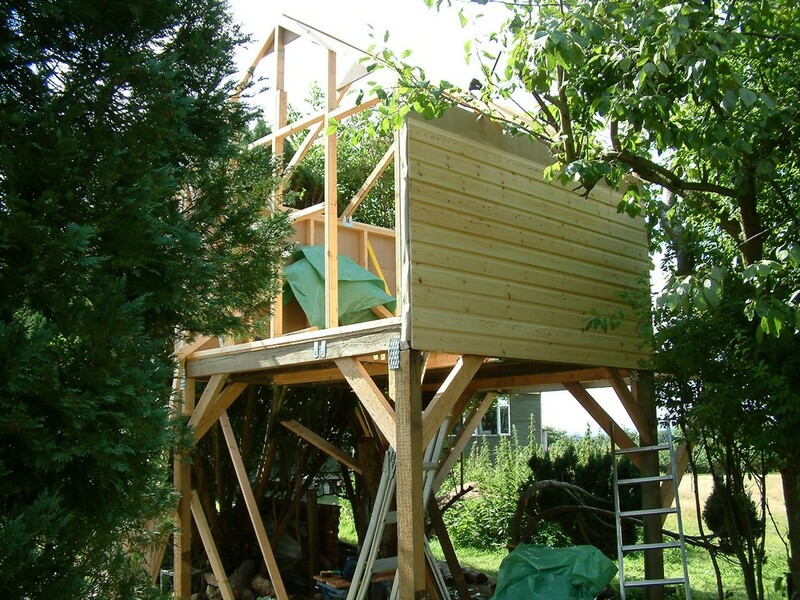 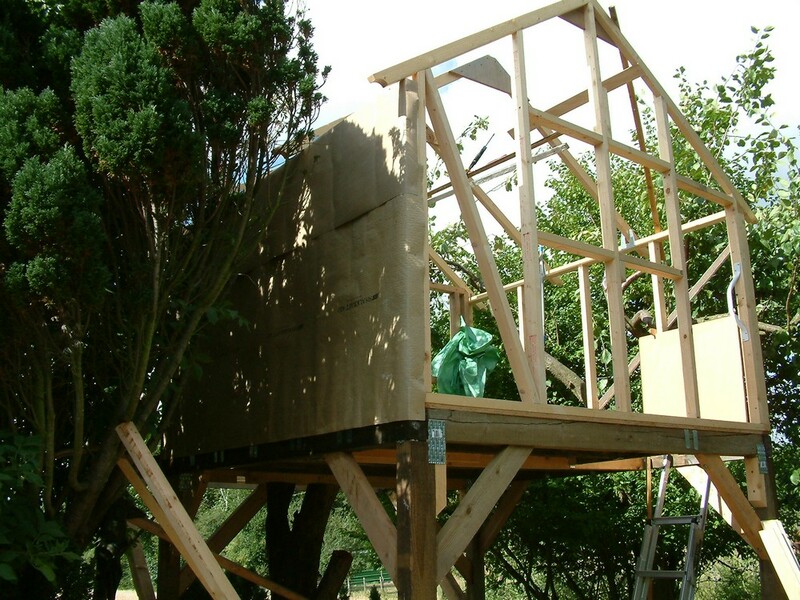 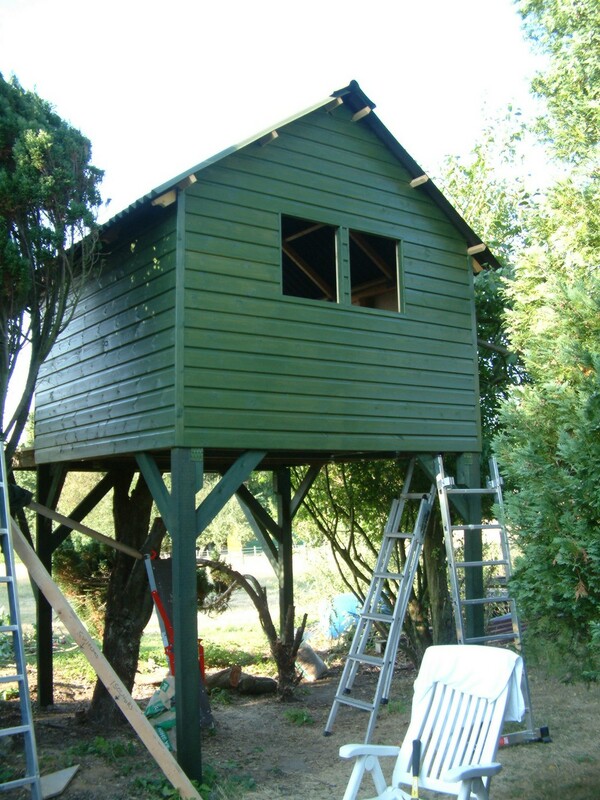 I built this tree house during the glorious summer heatwave of 2003. 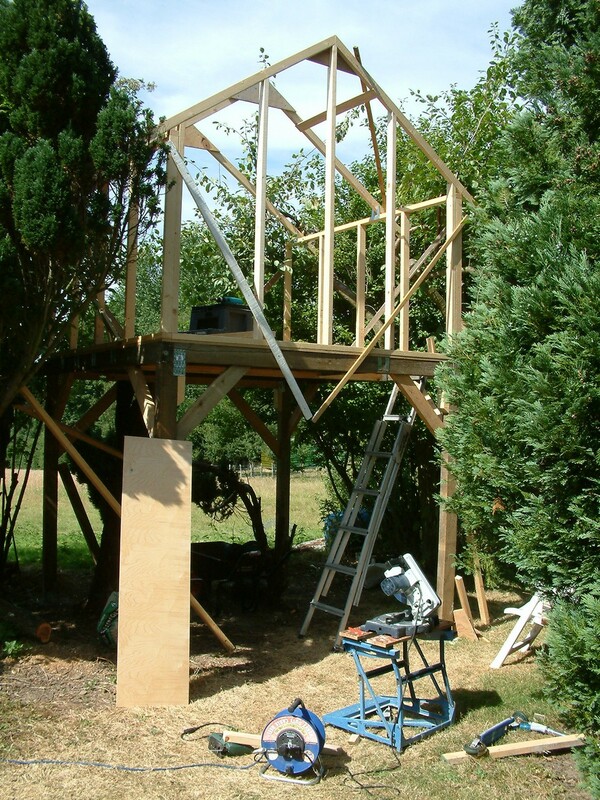 I used 4″x3″ timber for the legs and base. 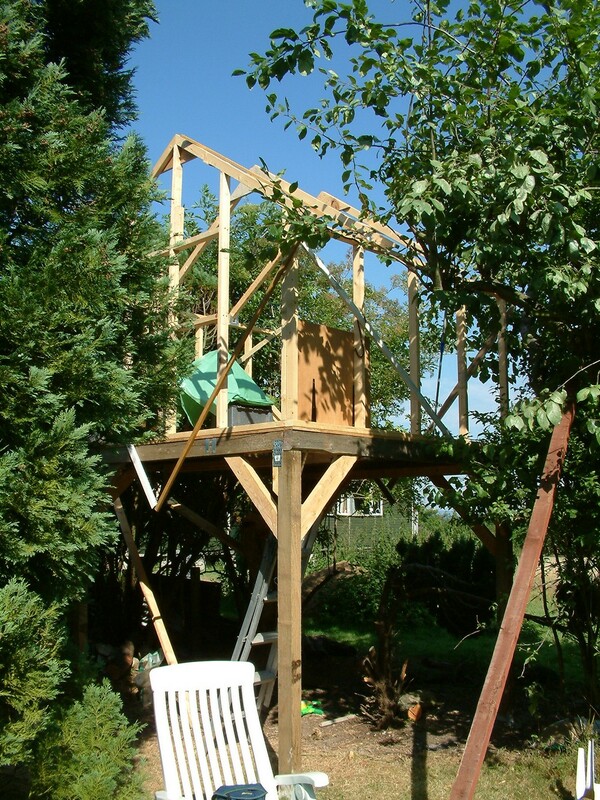 Prior to construction, I had soaked the ends of the wood in preserver for several days. 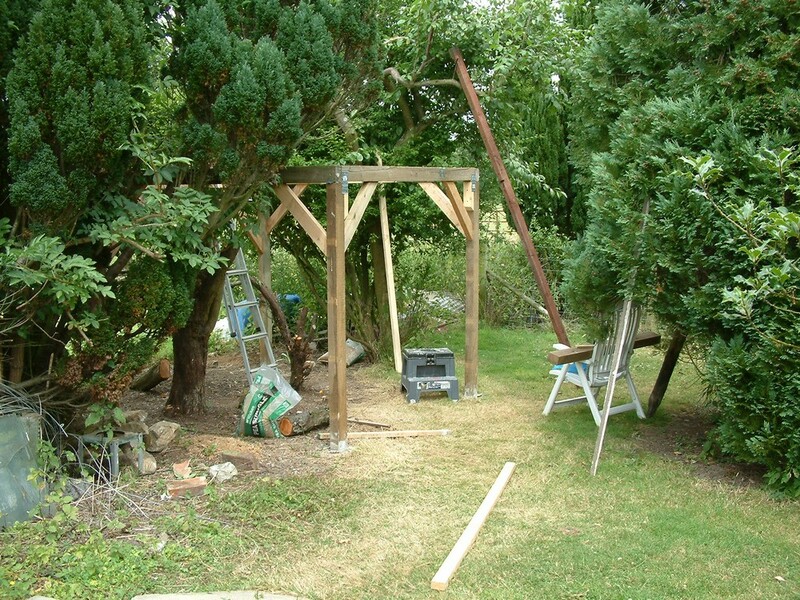 The post holes were dug just slightly bigger than the posts – probably about 6″ diameter. 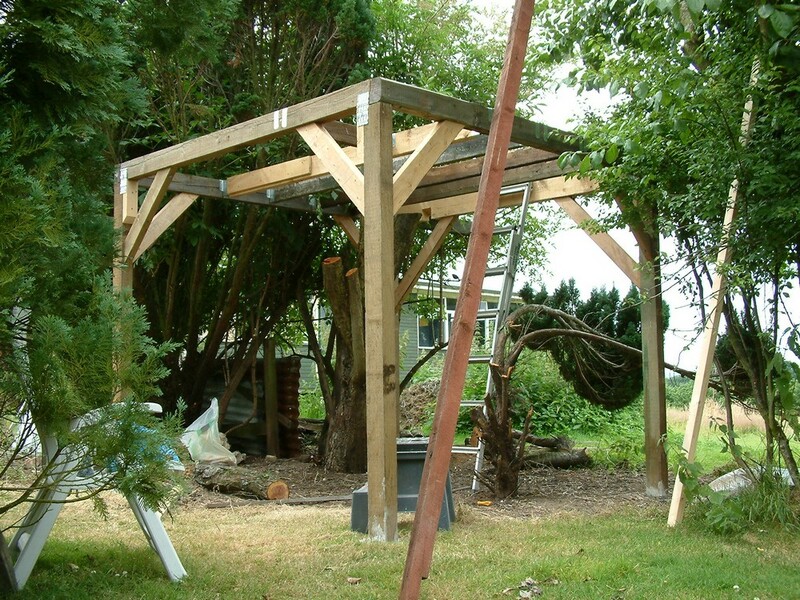 I poured pea shingle in each hole to rest the posts on. 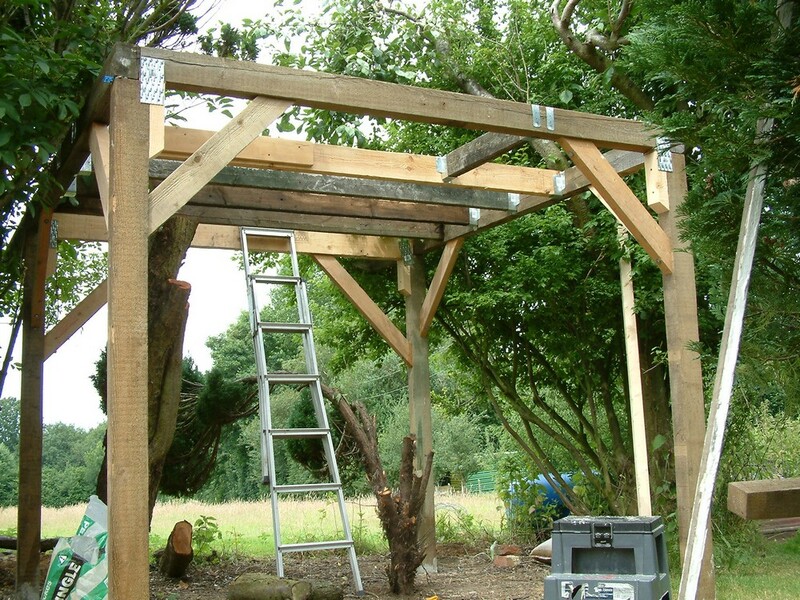 This ensures good drainage and prevents the bottom of the posts getting waterlogged. 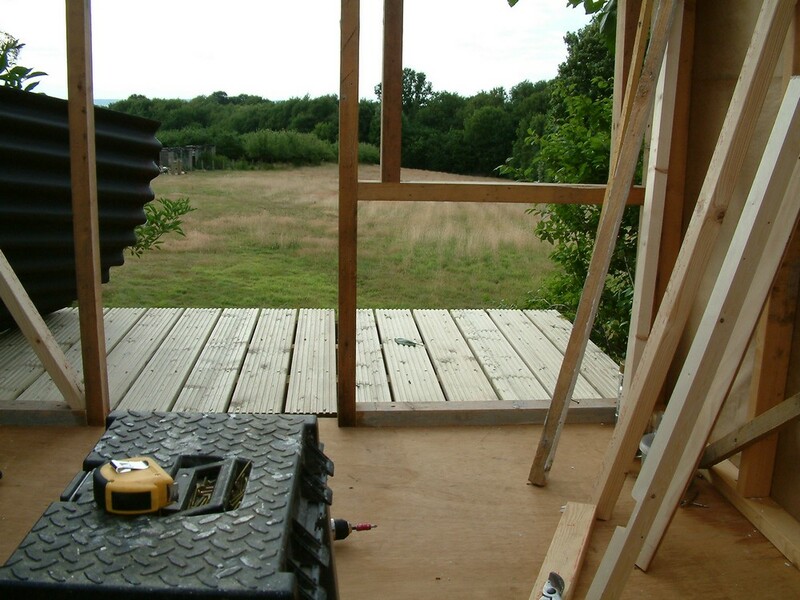 I used PostCrete to fill the remainder of the holes around each post. 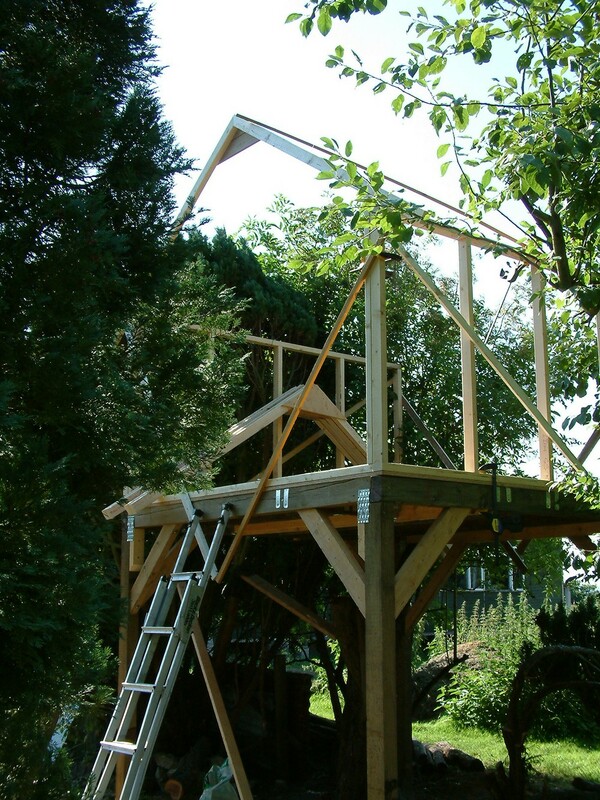 I made 6 identical roof trusses from cls, strengthened at the apex with a ¾” plywood plate. 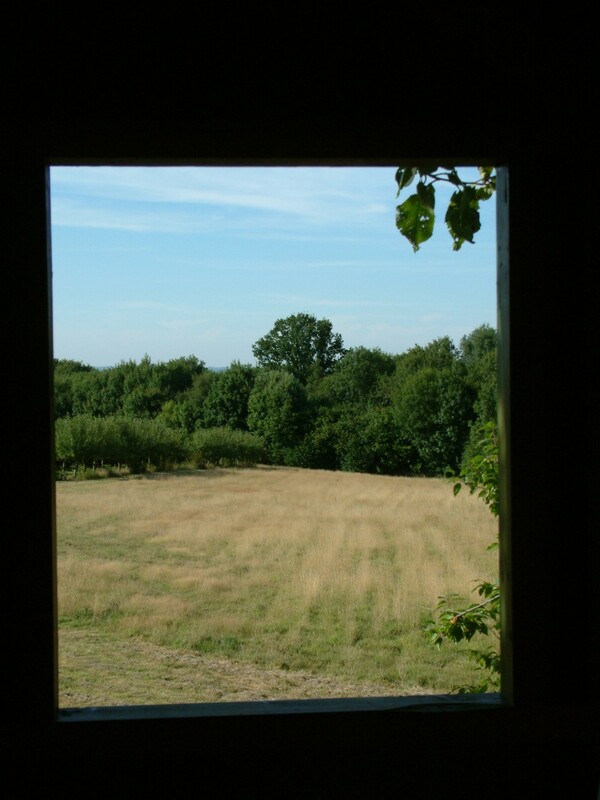 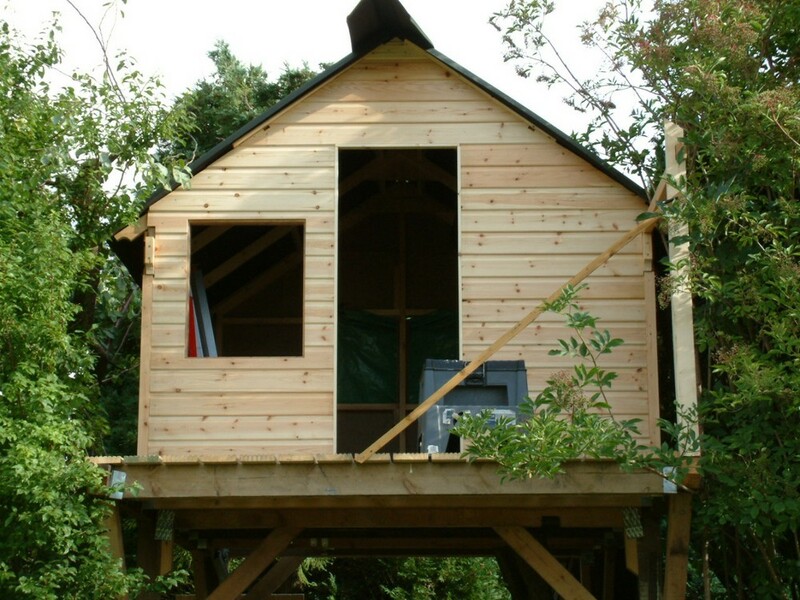 At the front of the tree house the floor extends out and overhangs the front by about 4 feet. 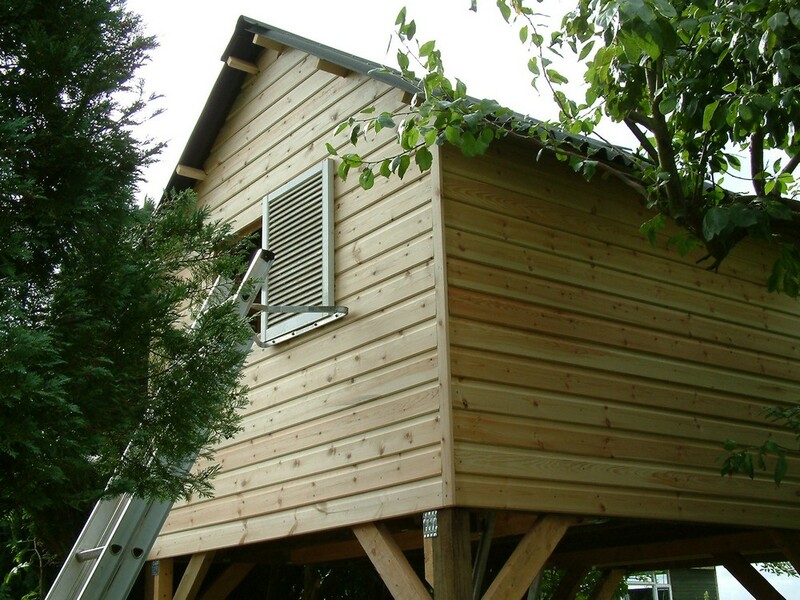 This is made from the side rails which are 12ft long and run from back to front. 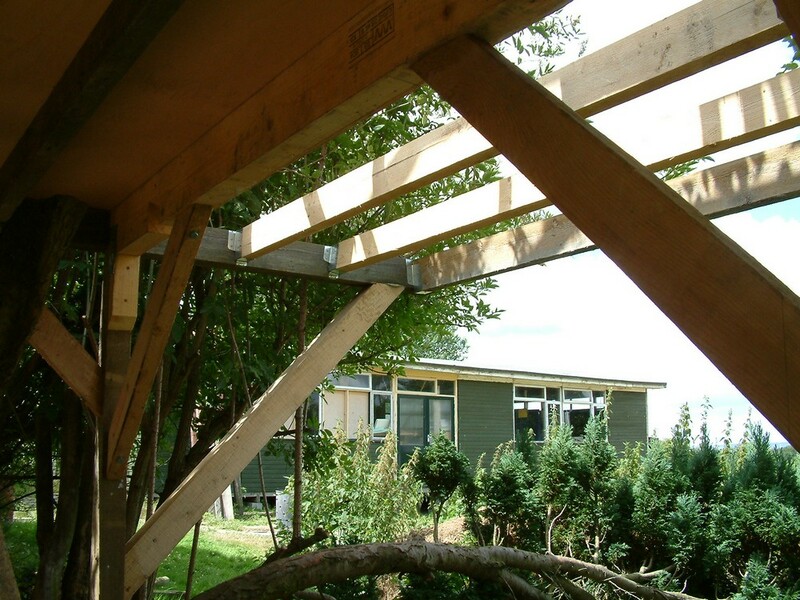 I supported the overhang with longer 4×2 braces, bolted on as before. 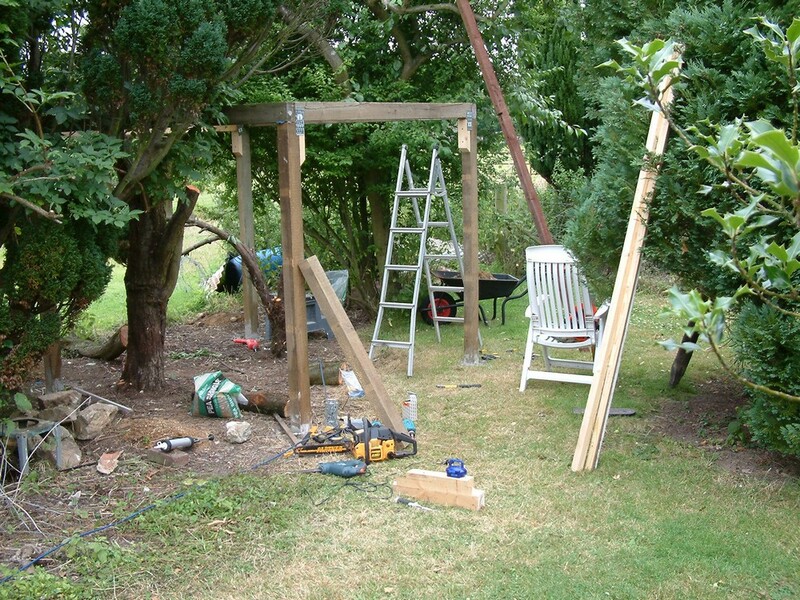 One of the 12ft lengths was twisted at the end so I had to shape all joining pieces to allow for this. 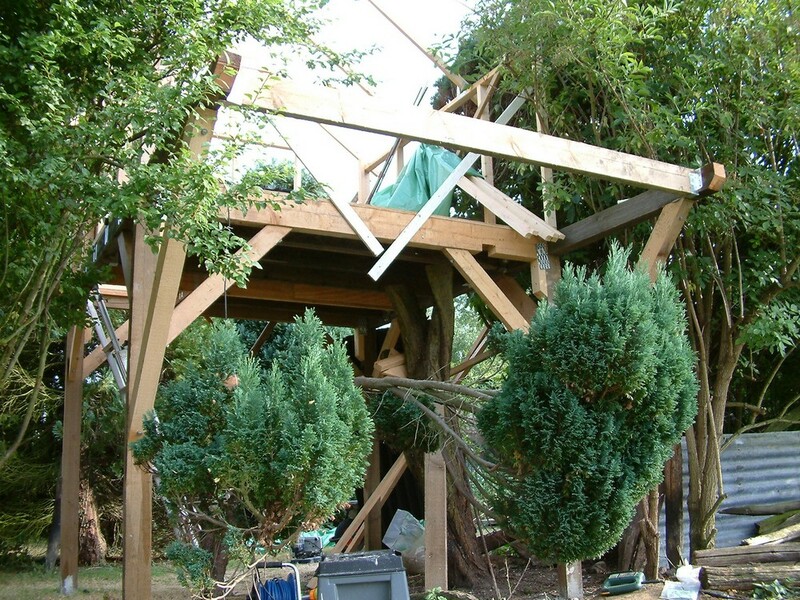 I fitted 4×2 joists for the balcony part. 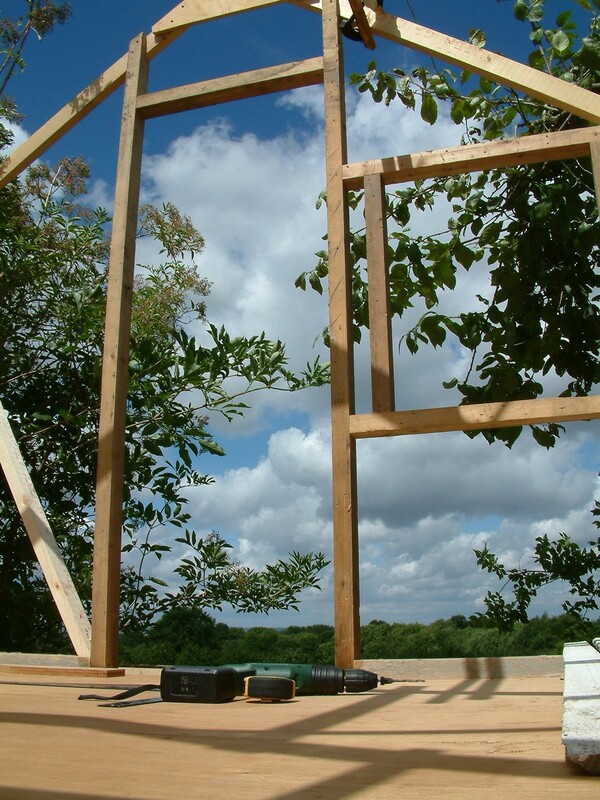 On the front gable end wall I installed noggins to act as door frame and window frame. 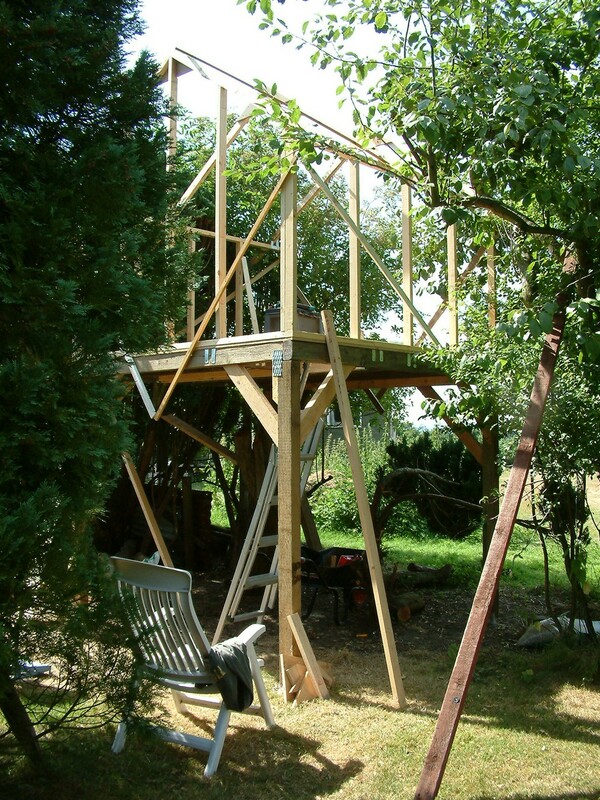 I added diagonal bracing to prevent racking. 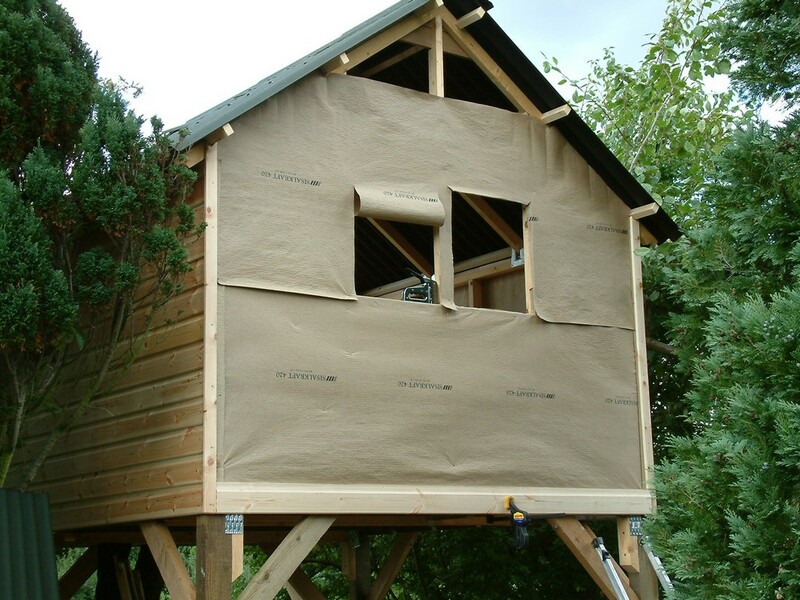 Prior to cladding the walls I stapled-on building paper to act as a water barrier in case driving rain blew water up under the cladding. 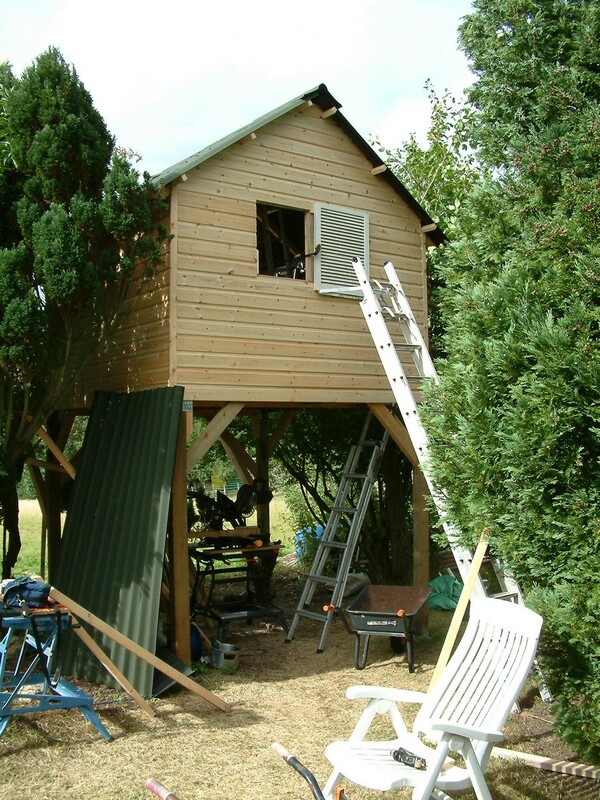 Then it was time for the shiplap cladding. 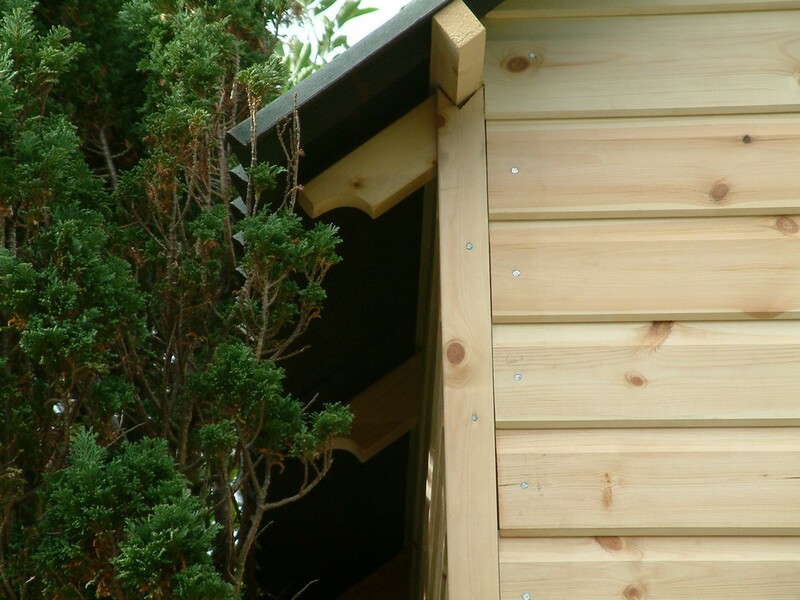 Each end of the cladding was soaked in wood preserver. 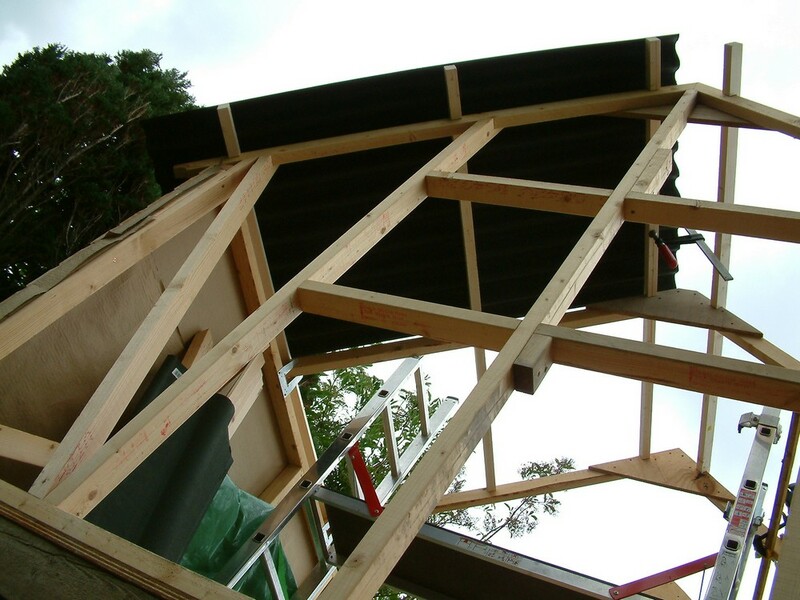 Finishing the roof over the balcony was awkward because I had to overhang the edge. 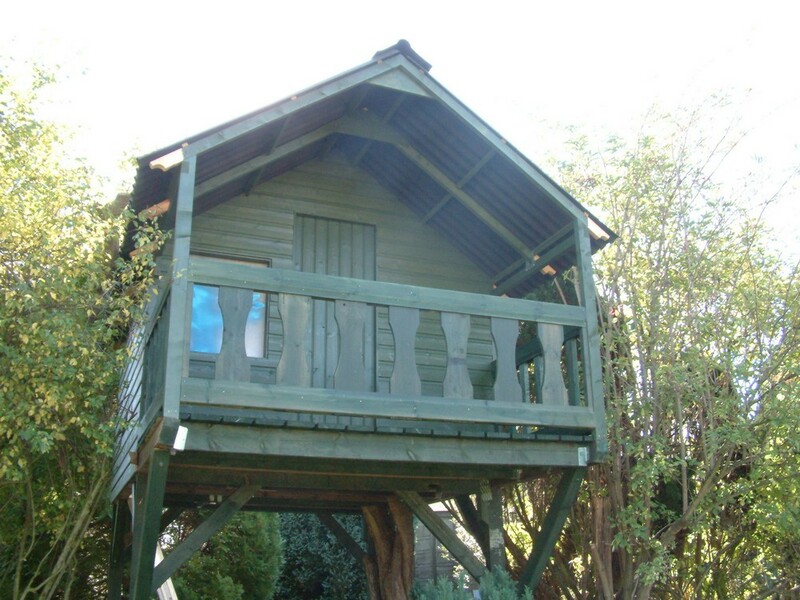 I laid a ladder flat on the balcony and got two family members to stand on it to weigh it down while I walked out on the ‘gang plank’ to work on the roof! 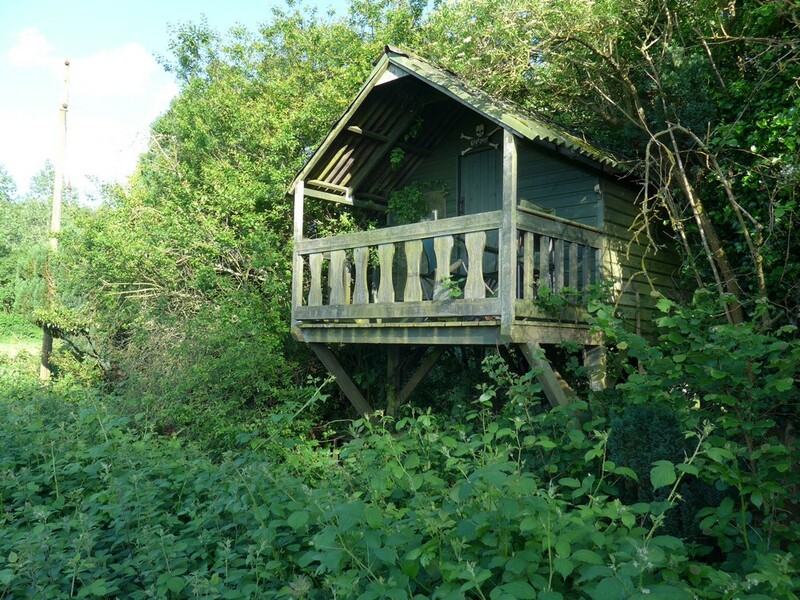 although threatened to be engulfed by nature!